St Louis Bankruptcy: Can My Bankruptcy Case Be Dismissed For Any Reason? A St Louis bankruptcy can be dismissed for a few different reasons. Most of the time, the reason why a case is dismissed by the court is because the Debtor (the person who files the bankruptcy) failed to provide the court with documentation or funds. Below is a description of the most common reasons for why a case might be dismissed. If you file a St Louis Chapter 13, but you fail to make the monthly payments (a Ch13 is a repayment plan over the course of three to five years), the Bankruptcy Trustee will file a Motion to Dismiss for Failure to Make Plan Payments. If you don’t get caught up, then the case will be dismissed by the judge. If you do not provide the necessary documentation to the court or Trustee in a timely manner, then your case will get dismissed. For example, the Trustee requires in a St Louis Chapter 7 that you provide him/her with the most recent sixty (60) days worth of paystubs (or other proof of income). If this documentation is not delivered to the Trustee within the time period allotted, then you are risking a dismissal of your bankruptcy. If you do not file certain documentation that you are required to file, then your case can be dismissed. For instance, you are required to file tax returns each calendar year (federal and state). If those returns do not get filed within a timely manner after your bankruptcy case is filed, the court will dismiss your case. So as you can see, the reason why someone’s St Louis bankruptcy might get dismissed is heavily dependent upon whether or not the Debtor does what he/she is supposed to do (or required by law to deliver). 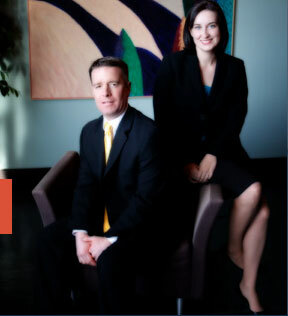 But at our firm, we believe that it is our responsibility to make you perfectly aware of what all is needed from you. The last thing we would want to see happen is your case getting dismissed. As a result, we will do whatever we can to help keep your case active.